Federal prosecutors on Monday urged an appeals court to uphold last year’s landmark conviction of former Massey Energy CEO Don Blankenship for a mine safety conspiracy. “The only thing novel about the charge against defendant is that, in this case, it was pursued against the CEO of a major mining company, instead of against low-ranking miners,” Assistant U.S. Attorney Steve Ruby wrote in a brief filed with the 4th U.S. Circuit Court of Appeals. Late Monday night, Ruby filed a 97-page legal brief with the 4th Circuit, spelling out the federal government’s response to Blankenship’s appeal of his conviction. You can read the brief for yourself here (and you can read Blankenship’s appeal brief here). Defendant suggests that because 29 coal miners were killed at UBB, he must have been convicted because of the emotion and public outcry that the UBB explosion aroused, not because of his own rampant law-breaking. Defendant raised this theory in a pretrial motion that the trial court rejected and whose denial, again, he does not appeal. That motion detailed his intricate fantasies that he was prosecuted because of an internet video he released touting his theory of the UBB explosion, or because of a vaguely described political conspiracy to frame him for the explosion. Id. The trial court found not a shred of evidence to support any of it. Defendant may be correct that not every mine where workers die is the scene of law-breaking, but the evidence showed that this one was, and that he was behind it—and a jury of his peers fairly convicted him of his crime. Oral argument in the appeal is set for Oct. 26 in Richmond, Virginia. I watched the PBS ‘Coal Wars’ http://www.pbs.org/wgbh/americanexperience/films/theminewars/player/ a few days ago and it is so enlightening. Coming from a SW Va mining family, having lived in the region the documentary is a sobering recap of the last 150 years in those mountains and points out the critical turning points of those workers and their families. The brutality demonstrated against the inhabitants of the coal region by the mine operators has become the only way of life; man against man. Where once upon a time black and white men worked shoulder to shoulder West Virginia and ‘coal country’ harbor some of the most racist (hateful) people in the USA if not the world. Don Blankenship and his counterparts are allowed to abuse and perhaps murder because of the ‘get along, go along’ mentality of the long oppressed inhabitants. When the whole world is against you it’s easier to lose all sense of moral direction. Sad that more folks don’t find a way out of such hardships, but as a whole the entire USA seems crippled to greater and lesser extents, so where are people to go to find a better life? Mine operators (and employers in general) understand the plight of the locals and exploit the chaos. West Virginia government has been against the mining community since it’s inception, this is also clear from ‘Coal Wars’. It’s really ‘a great game’ and not about to change. “The Upper Big Branch Mine disaster occurred on April 5, 2010 roughly 1,000 feet (300 m) underground in Raleigh County, West Virginia at Massey Energy’s Upper Big Branch coal mine located in Montcoal. Twenty-nine out of thirty-one miners at the site were killed. The coal dust explosion occurred at 3:27 pm. The accident was the worst in the United States since 1970, when 38 miners were killed at Finley Coal Company’s No. 15 and 16 mines in Hyden, Kentucky. A state funded independent investigation would later find Massey Energy directly responsible for the blast. The Mine Safety and Health Administration (MSHA) released its final report on December 6, 2011, concluding that flagrant safety violations contributed to the explosion. It issued 369 citations at that time, assessing $10.8 million in penalties. Alpha Natural Resources, which had bought Massey Energy in 2011, settled its corporate criminal liabilities with the U.S. Attorney for $209 million. Investigation of possible personal criminal liability continues, with one former superintendent, Gary May, pleading guilty in March 2012, and “confess[ing] to conspiring to ‘impede the [MSHA]’s enforcement efforts'”. 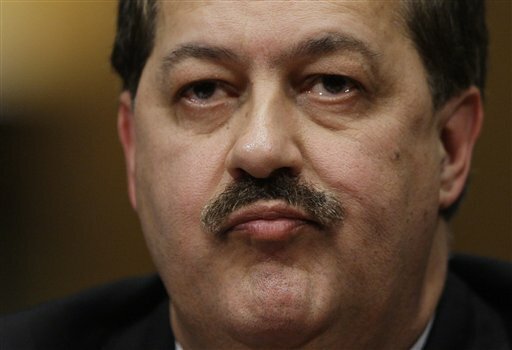 The CEO of Massey Energy at the time of the disaster, Don Blankenship, was convicted in 2015 of conspiring to willfully violate safety standards. He was found not guilty of charges of securities fraud and making false statements.